The Evolution of Our CTX Family: The New CTX1300 Some motorcycles take a proven formula and change it up a little. Then there’s Honda’s new CTX family of bikes—they’ve blown their class wide open and completely reinvented it. The new CTX1300 is a great example: With a 1,261 cc V-4 engine it has plenty of power. Innovations abound in the integrated bodywork. The dual pre-load adjustable rear shocks pair with the CTX1300’s aluminum swingarm to allow you to dial in the level of comfort and handling that’s right for you. A feature that not only looks great but works even better, the CTX1300’s inverted fork helps with the bike’s precise steering and excellent comfort and handling. Mounted in the center of the instrument console, the LCD screen provides useful information such as fuel range, MPG, ambient air temperature, and trip odometer. The Deluxe model can also display song and artist information from your device. Clear, crisp, bright: the latest LED technology lets the CTX1300’s headlight and unique accent lights do more than just light up the night—it gives the bike a strong styling element.. The tallight and turn signals are also brilliant, long-lasting LEDs. Nice and low—that’s how most riders like their seat heights, and that’s exactly how we built the new CTX1300. The low seat makes it easy to flat-foot it in parking lots or at stoplights, and just plain feels great, too. . The low seat and uniquely designed fuel tank help lower the bike’s center of gravity and inspire confidence. The low-cut windscreen helps reduce wind buffeting and blends perfectly with the low, lean styling of the CTX1300. Need a taller screen? No problem—there’s one available as an accessory. Tucked into the CTX1300’s fairing are two storage containers for smaller items. On the Deluxe model, you also get a USB port to charge your phone or play MP3 music files. The CTX1300’s fairing helps make both your commute and long distance trips a whole lot more pleasant. 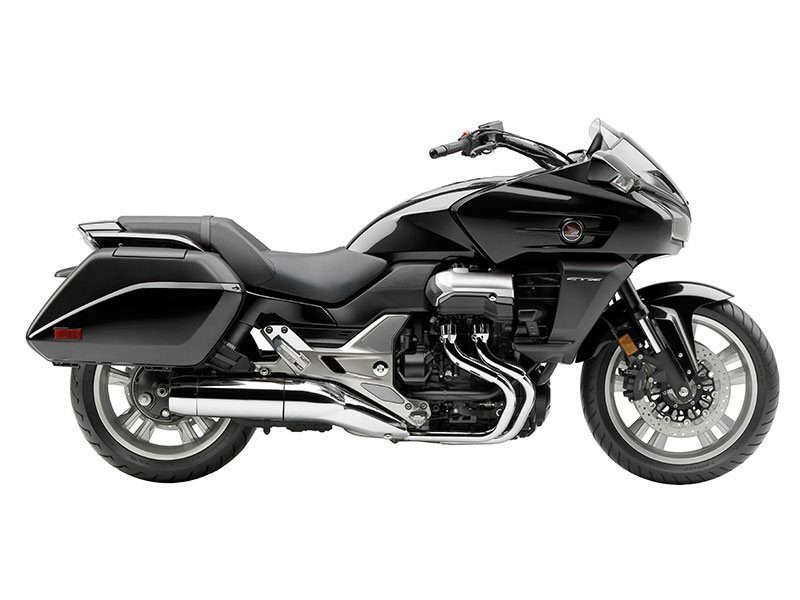 Stylish and functional, the bodywork reduces wind buffeting and provides some extra storage, too..
A fat 200-series rear tire and stylish 10-spoke cast wheels give the CTX1300 aggressive style—on the Deluxe model, the wheels are blacked-out to match the other styling elements.